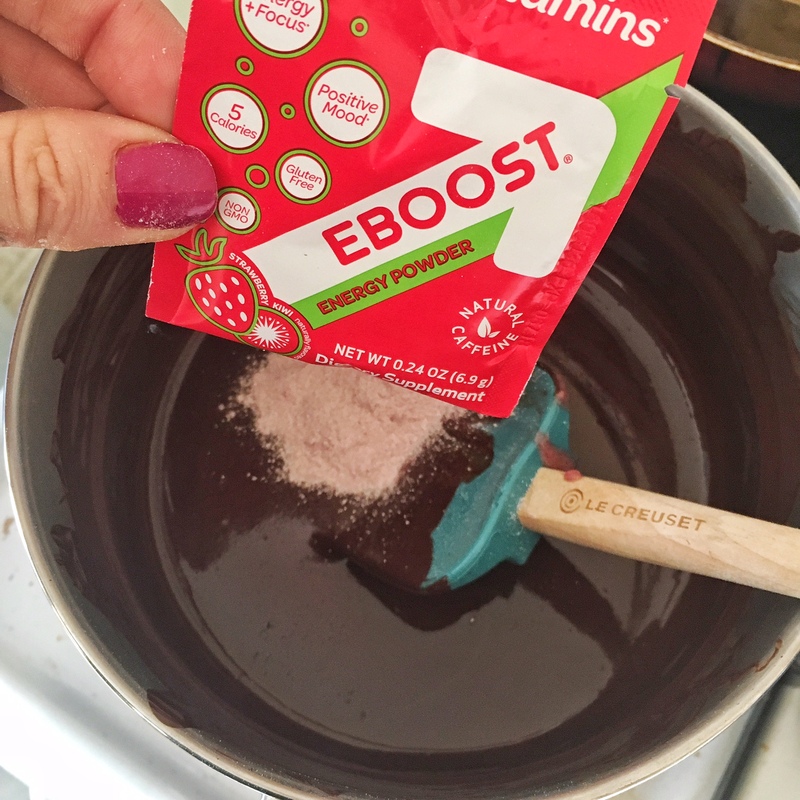 One of our goals for 2017, is to bring you guys some awesome delicious ways you can incorporate EBOOST more in the kitchen! 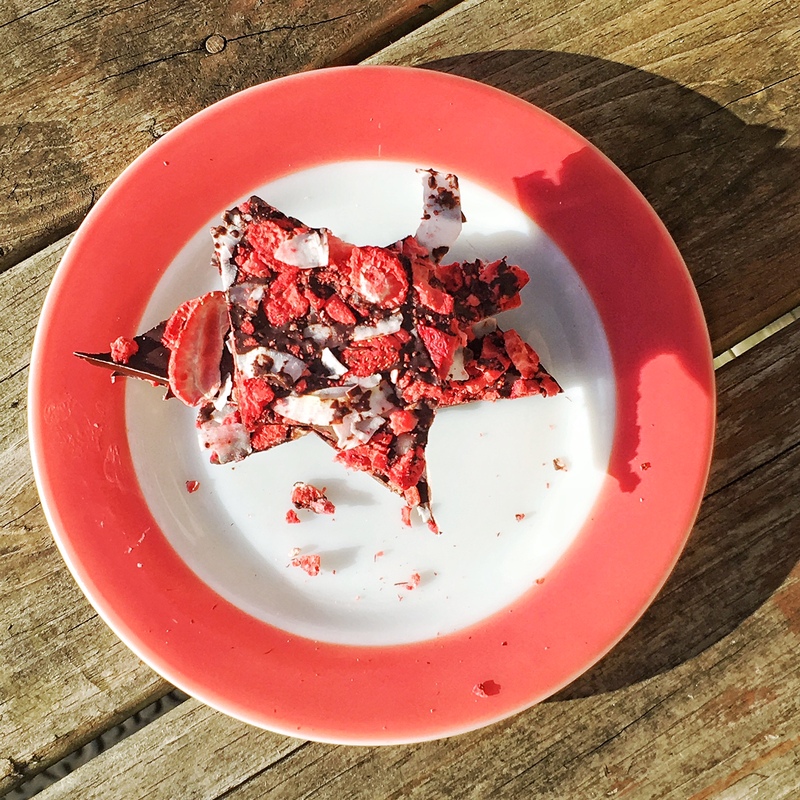 Today I am here to share with you a great snack that is healthy and gives you a nice little afternoon pick me up to get you through the rest of the day before dinner time – because, well, no one needs you hangry. Using a double boiler, fill the bottom saucepan with a couple inches water. Bring to a simmer. 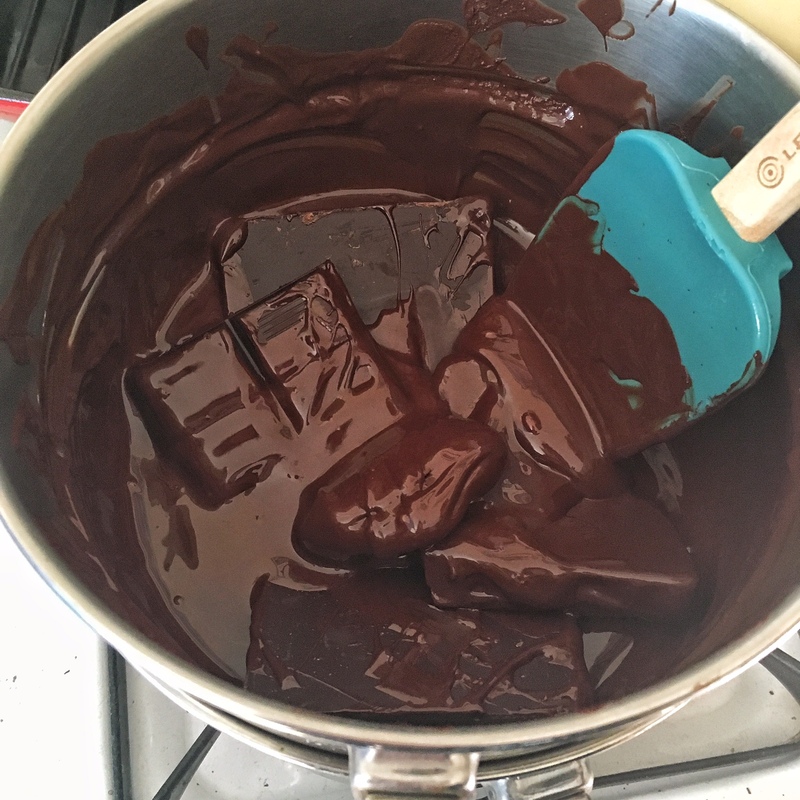 Once the water reaches a simmer, break apart your chocolate bar and put half of it in. Constantly keep stirring it until it melts. 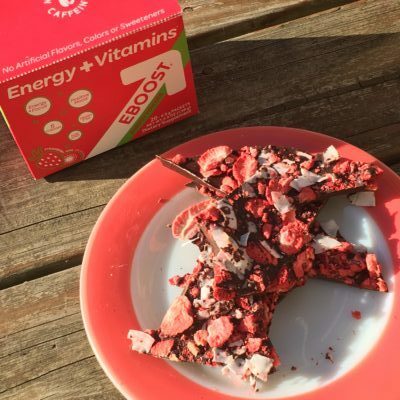 Add in your 5 packets of energy powder and the remainder of the bar. Keep stirring. You may see some bumps form from the energy packet but they will smooth out as you keep stirring. Once completely melted turn off burner and set aside. Grab a cookie sheet. Place parchment paper or aluminum foil with cookie spray down on it. Wait about 5 minutes for chocolate to cool a bit. 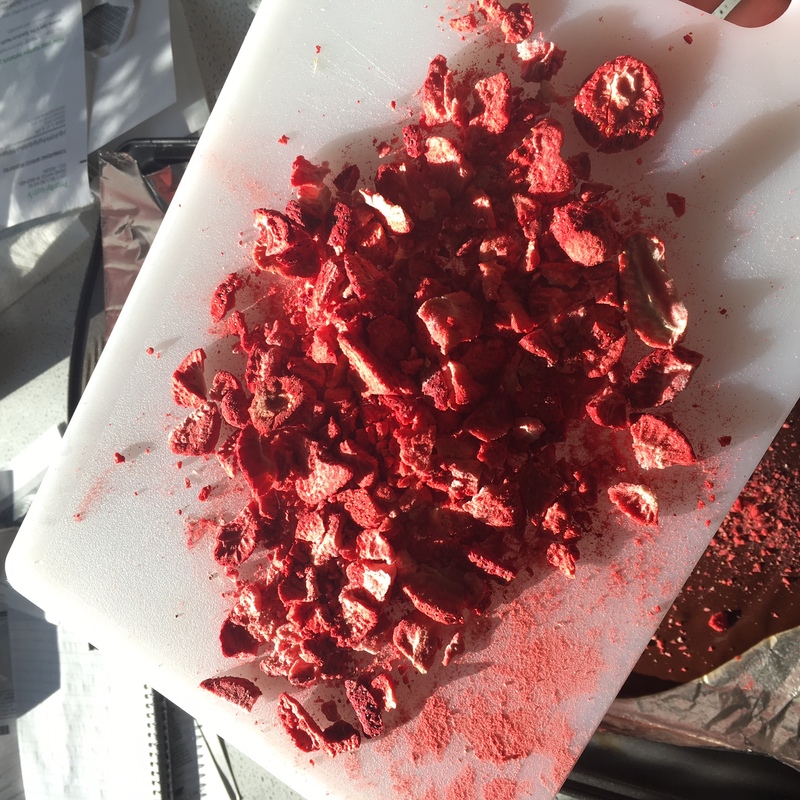 If you want thicker bark then wait for chocolate to cool longer but not completely. It will still need to be spreadable. Once chocolate has been spread onto pan. 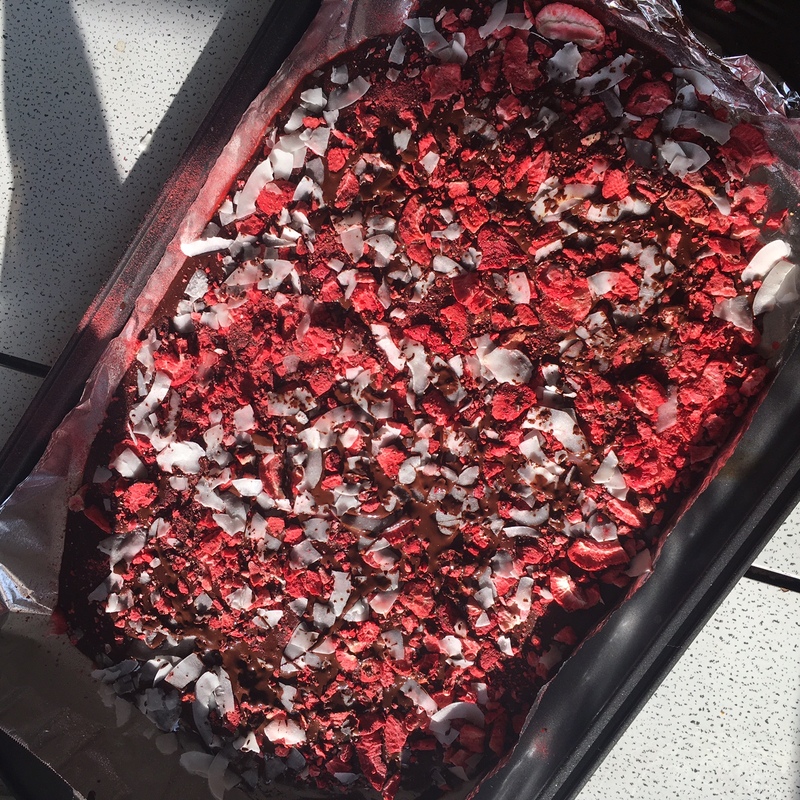 I used a spatula a bit to push the strawberries and coconut into the chocolate to make sure it sticks. Place in frig for one hour. Break apart into sizes of your liking.